Tyvek® tags are perfectly suited for challenging environments. They have tremendous strength, they are puncture and tear proof, they are both mildew resistant and waterproof, and they are impervious to most chemicals. This makes them a solution well suited to outdoor use. 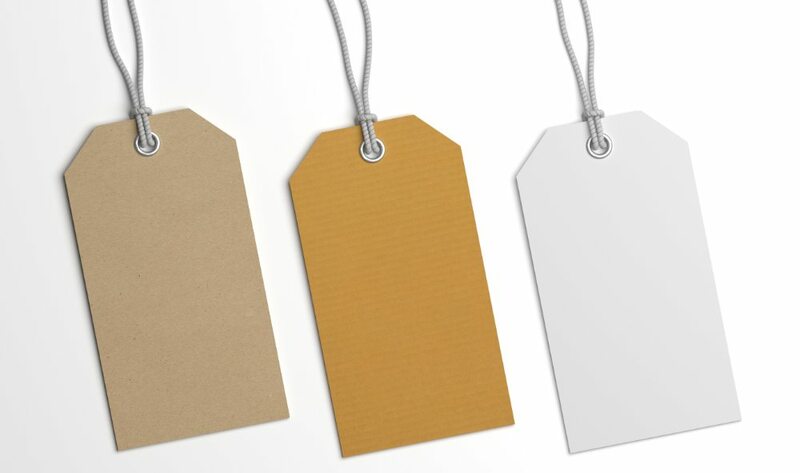 Tyvek tags are also approved for use in culinary environments and clean rooms, since they produce very little lint. They are available in various colors, in addition to the standard color white, and with or without wires attached to the tag. Hang tags are a popular standard. They are simplistic in design, typically rectangular and printed on sturdy stock with an optional hole for attachment to a product. These tags generally provide such important information as a company’s name and website or specific product features. Popular for hang tags are identifying products, listing instructions, basic identification information, and promotion specific information. They are available in a variety of sizes, colors and designs.